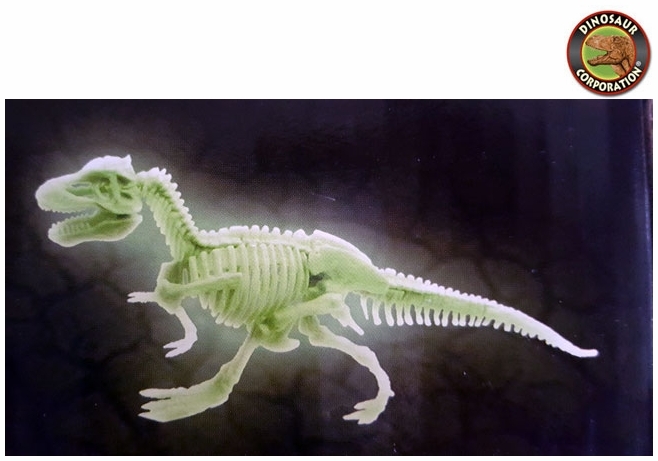 Home | PARTY SUPPLIES | DINO DIG PARTY | Glow in The Dark T-rex Bones Skeleton Excavation Kit 7"
Glow in The Dark T-rex Bones Skeleton Excavation Kit 7"
Glowing in the dark T-rex bones are perfect for digging in sand. Kids will love to discover bones of giant predator Tyrannosaurus rex. * Be a paleontologist! Excavate and assemble the T-rex skeleton. * WATCH IT GLOW! It's COOL!